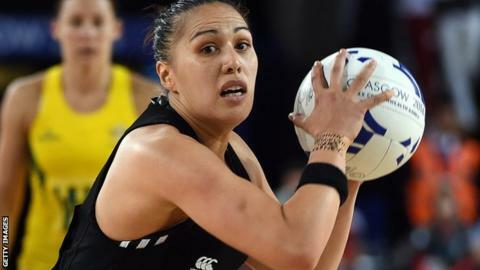 The 30-year-old, who has 41 caps, won gold at the 2009 World Netball Series and 2010 Commonwealth Games, but did not make the Silver Ferns World Cup squad earlier this year. Leota is the wife of Manchester-based Sale Sharks' centre Jonny and wanted to move to reunite her family. She joins Thunder from ANZ Championship side Southern Steel. "I was convinced I wanted another year in the ANZ," she said. "But after lots of discussions with my husband it worked out best for our little family to finally be together in the same country or even hemisphere. "Eight weeks of the year just wasn't enough and I was missing out on so much."